In Pittsburgh, Pennsylvania, addicted gang biker Sam Childers is released from prison and learns that his wife Lynn is no longer a stripper but has converted to Christianity. One night, Sam and his best friend Donnie give a ride to a hitchhiker who threatens Donnie with a pocketknife; however Sam reacts and turns the tables on the stranger. 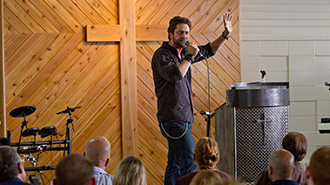 Sam is affected by the incident and is convinced by Lynn and his mother Daisy to join their church, and he is baptized. Sam finds a straight job in construction. 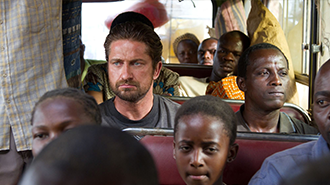 When he meets a preacher from Africa, he decides to visit the continent. 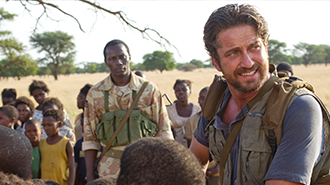 Sam travels to Northern Uganda and South Sudan many times and builds an orphanage for the victims of the cruel Lord’s Resistance Army (LRA). 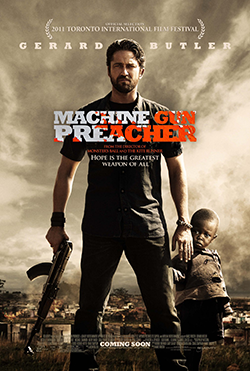 Further, he fights whenever necessary and becomes a legend known as The Machine Gun Preacher.